Nice! T-Rex is stomping on a tiny woman on this t-shirt, and both participants look super-stylish. This is a great t-shirt to wear when meeting people for the first time. Black and white on gold nugget Hanes Beefy-T shirts for men, on lilac American Apparel 2102s for women. Image is about 5 inches tall. So classy! Shirt Info: Printed on Mens Hanes Beefy T (5180) and American Apparel 2102 or Bella 6004 for the ladies. 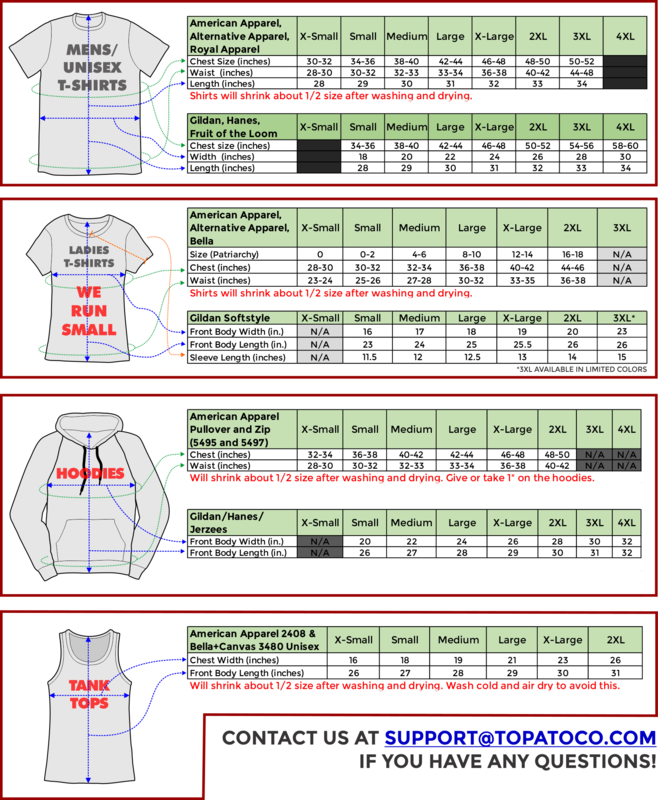 See sizing chart for specific detailed information!